Compact 1/16 DIN sized easy-to-see Temperature Controller that comes with large (17.5 mm height) 3-digit display. Universal input, "SUPER" overshoot suppress function and dynamic auto tune are standard. 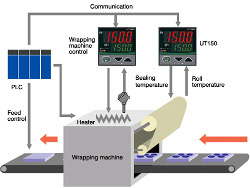 Heating/cooling control and RS485 communication are optional features. 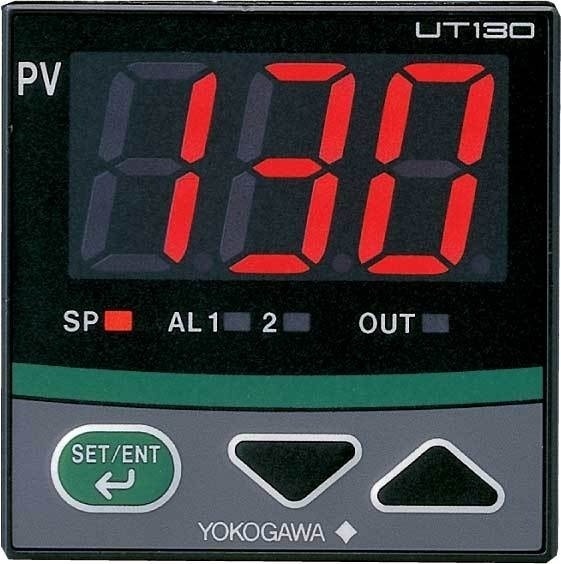 The UT130 Temperature Controller (1/16 DIN size) is a compact, economical, easy-to-use temperature controller that comes with an easy-to-see large display. The UT130 has a dynamic auto tune and the "SUPER" overshoot suppress function as standard function. The heating/cooling control and communication function are available as optional features. In recent years, the restrictions of ISO14001 standards and HACCP have meant that temperature control and monitoring have become a necessity in a wider range of fields. Together with the demand for high-precision control performance, has come the need for increased diversity in terms of input sensors, control methods, and manipulated-variable output signals, as well as improved ease of operability.